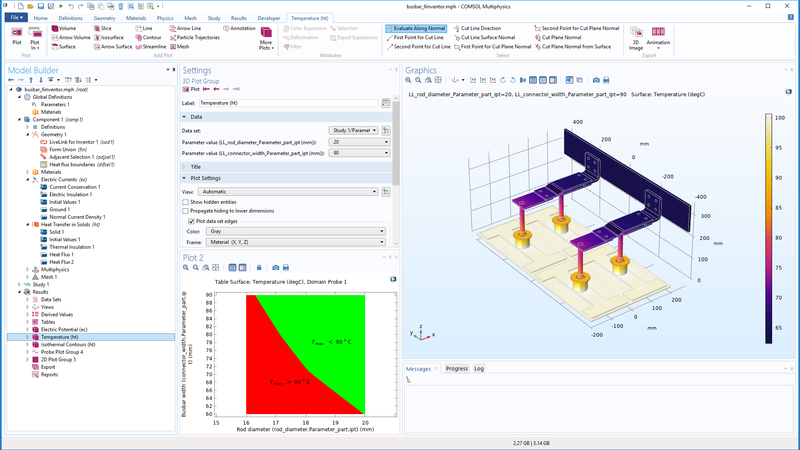 For users of LiveLink™ for Inventor®, COMSOL Multiphysics® software version 5.4 brings support for synchronizing read-only parameters, object selections generated for material selections, and an updated tutorial model. 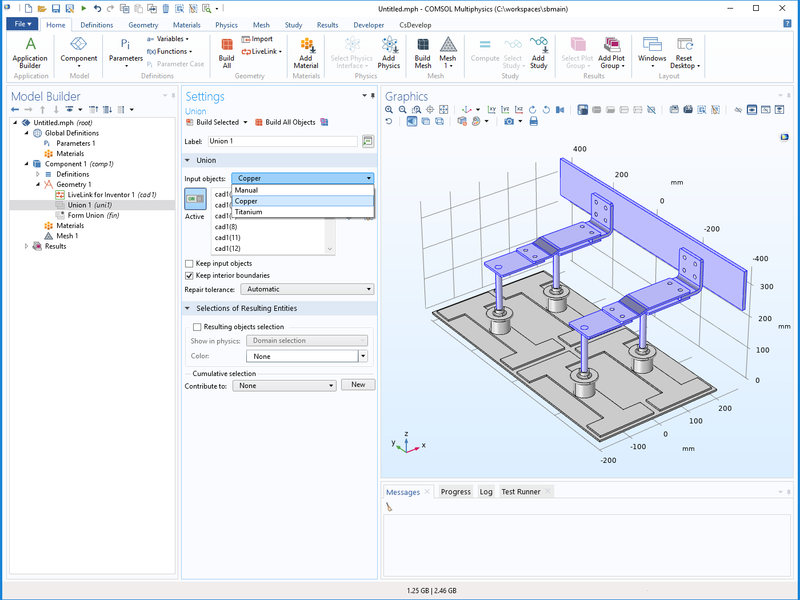 See the LiveLink™ for Inventor® updates in more detail below. 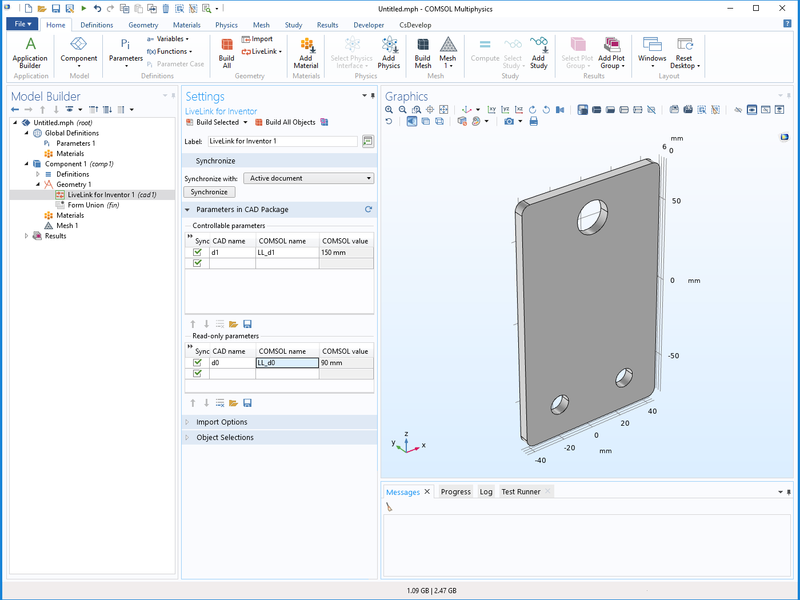 The d0 parameter is controlled by an equation in this Inventor® part file. After synchronization, the d0 parameter appears in the Read-only parameters table and the associated global parameter, LL_d0, can be used in the simulation setup. 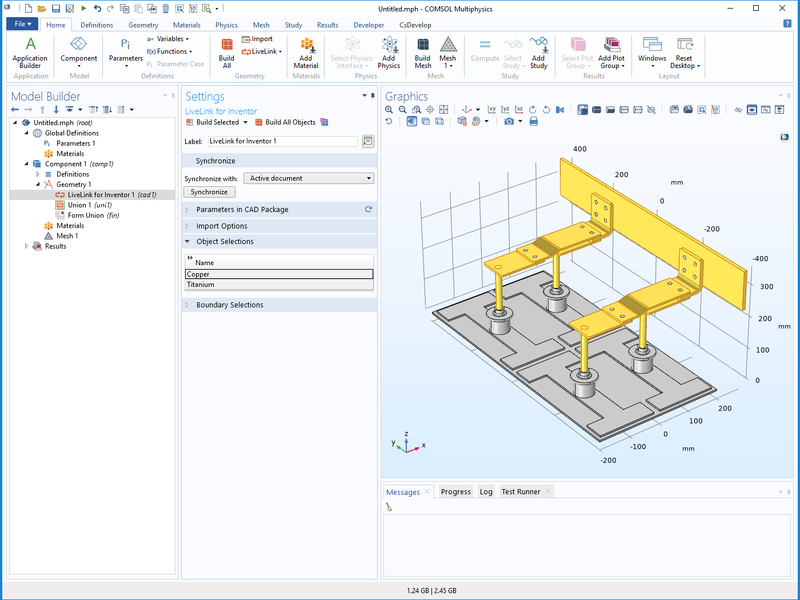 The synchronized Copper material selection can be accessed as input to the Union 1 operation to form the union of all objects that have been assigned the Copper material in the Inventor® file. This updated tutorial model analyzes a larger busbar assembly designed to conduct direct currents, from a current source, to the anode, in an electrolysis process. 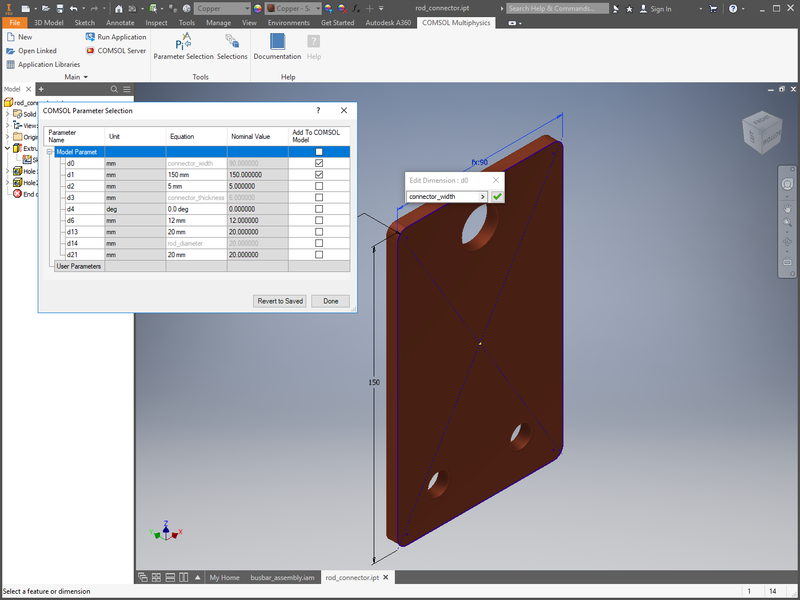 Selections defined in the CAD assembly files are used to assign materials and boundary settings in the simulation. A parametric sweep over two parameters in the Inventor® assembly has been included to study the influence of the geometry on the physics phenomena, and the results of the sweep are visualized through a Table Surface plot. This can help in selecting geometric parameter combinations that keep the maximum temperature in the copper components below the desired maximum value. A 3D surface plot of the temperature distribution in a busbar assembly. A red-green 2D plot shows the maximum temperature. A 3D surface plot of the temperature distribution in a busbar assembly. A red-green 2D plot shows the maximum temperature.